For many students, a vending machine full of junk food might seem like the best thing the school has done yet! After the recent introduction of pre-stocked vending machines here at Blackville School, I was honestly quite disappointed in the selection that was offered. There should be a greater variety of "healthier" foods. The idea that our school was focused around healthy meal choices has been talked about quite often. I think it is safe to say, based on what is consumed by students, that our school hasn't exactly lived up to those expectations. "Schools will offer healthy food choices to students. The school district will reduce foods high in fat and sugar, and will educate students so they may make healthy lunch and snack choices." Speaking as a high school student, I think that as a group, we are at the age where we should be mature enough to choose the type of food we want to consume. 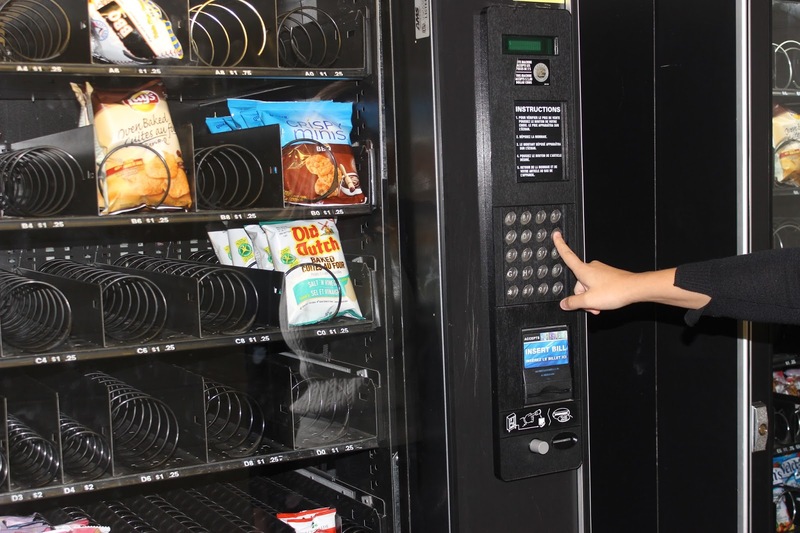 No matter where you go, the option to eat processed food will be available, and school is no exception to that. We all know processed foods, whether it be regular chips versus oven-baked chips, are not the healthiest options. Unfortunately, however, it is very unlikely that celery sticks will sell over chips or fresh fruits over a chocolate bar. Schools struggle to offer healthier food choices while at the same time make a profit or at least cover costs. 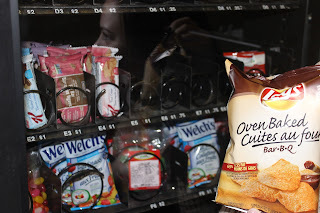 "I think it should be pretty even down the middle, because some people prefer healthy snacks, and some people would rather have, let's say chips. I think it should just be a healthy mix." School is a place we should come each day to learn. In order to be at our best, we must be fuelling ourselves with food that will enhance our ability to learn rather than hinder it. However, this is a personal choice that we must make for ourselves. I think that a better approach needs to be made for an issue as pressing as the food we eat on a daily basis, although I won't argue that the chips and chocolate are sure to be a best seller. There is nothing wrong with indulging in a treat every once and a while, and having a balanced diet.